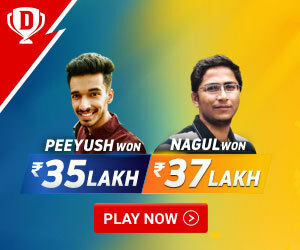 The real success of a sportsperson lies in not only winning medals for the country but also inspiring many youngsters to take up the sports as a career option and guiding the players to nurturing and improving their game. 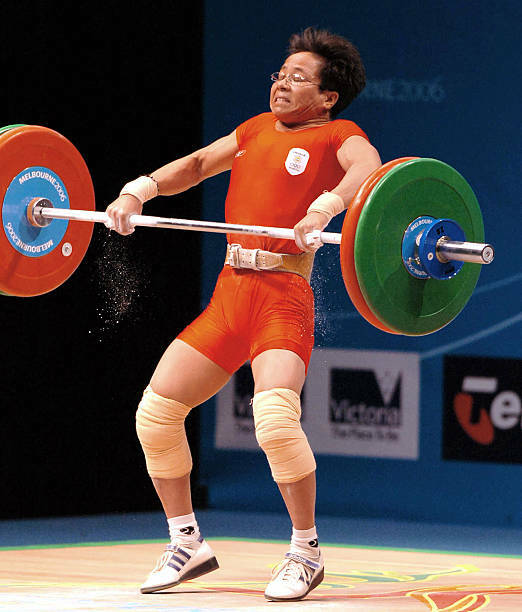 Kunjarani Devi is one such athlete who silently made Manipur as a weightlifting capital if India. As a youngster Kunjarani faced lots of issues due to political uncertainty prevailed in the state and poverty, so she decided to take up the sport as she considered this is the only of the option to get rid of all these problems and make steady income through the sports reservation quota that will support her and her family. Kunjarani’s contribution made Manipur as the unofficial sporting capital of India. Inspired by this powerful weightlifter, every year thousands of younger generation peoples from various sporting disciplines represent Manipur in national and international tournaments. Nameirakpam Kunjarani Devi was born on 1st March 1968 at Kairang Mayai Leikal in Imphal, Manipur. She studied at the Sindam Sinshang Resident High School and completed her graduation at Maharaja Bodha Chandra College, Imphal. In the northern states, the sports are a common culture and Kunjarani developed his interest in the sports right from her younger days. She started to participate in weightlifting events from her school days and continues to make impacts in regional and state level tournaments. Then she went on to participate in national level tournaments and made her national debut at 1985 at national weightlifting championships. Kunjarani has served as an assistant commandant in the Central Reserve Police Force. She has also participated in a number of police championships and served as the captain of the Indian Police team from the year 1996 to 1998 for Manipur. Kunjarani Devi acted as an initiative to promote weightlifting in Manipur state. In the early ’80s, powerlifting was the passion. Kunjarani won a medal in the National Weightlifting championships in 44 kg, 46 kg, and 48 kg category in 1985. In 1987, she made two national records in the event held at Thiruvananthapuram. She won a gold medal in the year 1994 and in 1998; she won a silver medal in the 48 kg category. Kunjarani received her first World Women’s Weightlifting Championship and three silver medals at Manchester in 1989. 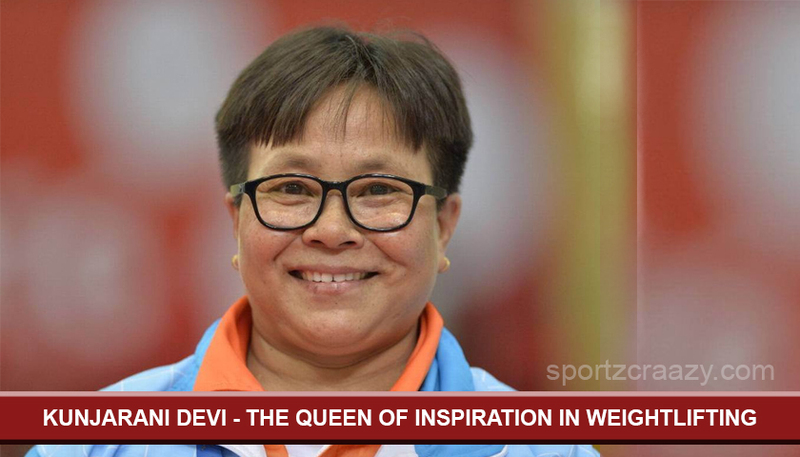 At the Asian Weightlifting championship 1989, she bagged one silver and two bronze medals. In 1990, she secured a bronze medal at the Beijing Asian games and the Hiroshima Asian Games in 1994. In the 1996 championship held at Japan, she reached the podium by winning two-silver and one bronze medal. The Commonwealth Games held at Melbourne in 2006 is the highest point in her career and made India proud by winning Gold. On the whole, she has won over 50 medals in her career spanned over 20 years. Kunjarani’s hard work and dedication earned her a medal at every world championship events she participated. On July 2001, Kunjarani Devi suspended from participating in all international events as sample showed the presence of banned drug anabolic steroids during the random test carried out at the Senior Asian Weightlifting Championships held at South Korea. So, she was banned from participating in all events and as a result of this, the Asian Weightlifting Federation has asked IWF to return her medal immediately. But finally, a seven-member team conducted a test for Kunjarani and found the result as negative which was the big relief to her. She shared the Rajiv Gandhi Khel Ratna award along with Leander Peas for the year 1996-1997. She also won the K.K. Birla award in the same year. The Government of India honored Kunjarani with the “Padma Shri’ in 2011. After retiring from sports Kunjarani is designated as the coach of the Indian weightlifting team for the commonwealth games in 2014. she is silently molding the younger generation weightlifters across India through her academy. Kunjarani Devi will always remain as an inspiration for budding young generation sportspersons across India. Her contribution to Indian Sports has been remarkable. She is also known as ‘The Iron Lady of Manipur’ and her story will inspire us to come out of all the odds and become more successful in life. Like her sporting career, her coaching career is also making impact hope many athletes under her bring more laurels to the country.